Most dams and their uses mirror the history of their region. This dam is one of the most emblematic statements of the river’s history and its water quality. 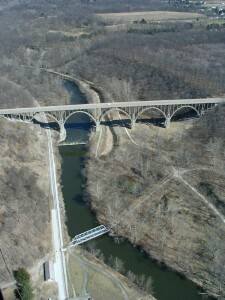 This dam was first built in 1927 to divert Cuyahoga River Water into the Ohio & Erie Canal. Once the great flood of 1913 destroyed the canal system, the dam had little use until it was rebuilt in 1952 for industrial use. From 1949, American Steel and Wire leased water from the canal for its operations ten miles down stream of the dam where the Cuyahoga water was too polluted to use in the company’s factory. The dam was rebuilt to assure flow for the increased water needs at the plant. In the mid 1990, American Steel & Wire found alternative sources of water and terminated the lease. 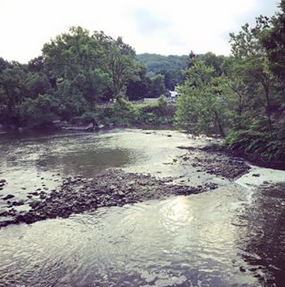 Today, Cuyahoga Valley National Park uses the dam and the watered portion of the canal for recreation and historic interpretation. The dam itself is a barrier to fish and fowl and folks alike. 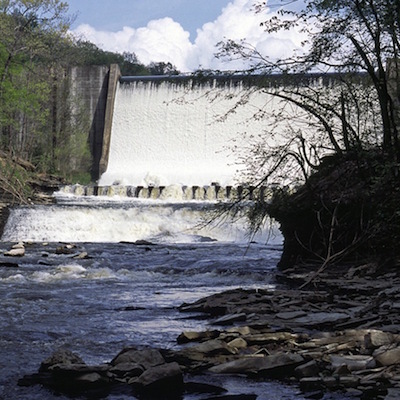 Paddlers have died in the hydraulic downstream of the dam. Since 2006, the dam has been the center of various environmental studies to determine the feasibility of modification or removal. 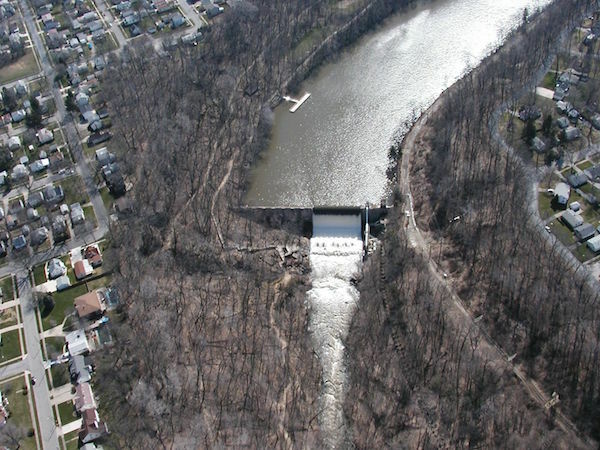 In 2009, as a condition of its CSO Consent Decree, the City of Akron has set aside $900,000 for the dam’s removal. What a statement! A dam that served as a transportation hub became a dam that by-passed down-stream pollution became a dam that interpreted its own past. And finally, if the fates are with us, we will remove this dam but retain its beneficial uses.